Hey everyone!! 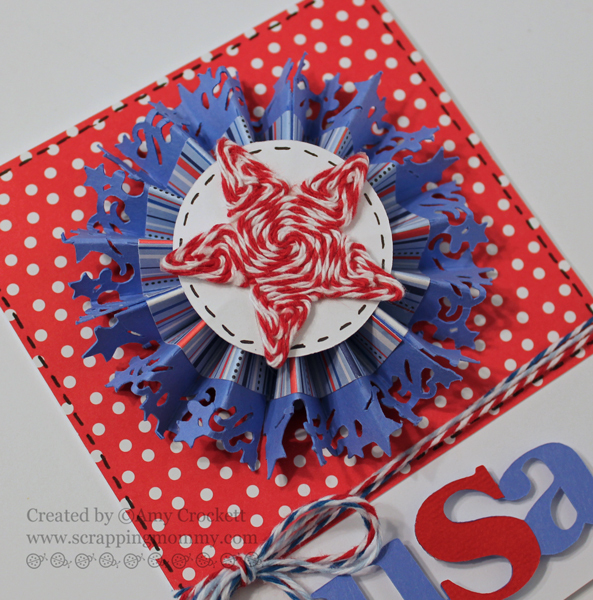 Today is my turn to share on The Twinery Blog a super fun project for the upcoming 4th of July celebration. I found some great cuts on my Cricut and the Ribbon and Rosettes, Jubilee, and 3D Pinwheel cartridges, and thought it would be fun to wrap some twine with them to see what I could come up with. I applied some strong double sided adhesive to the die cut stars and then circled some Maraschino bakers twine around each one of them, starting with the points first and then filling in the middle. On the card, I used some of the Maraschino, Denim, and Shore bakers twine around the card. 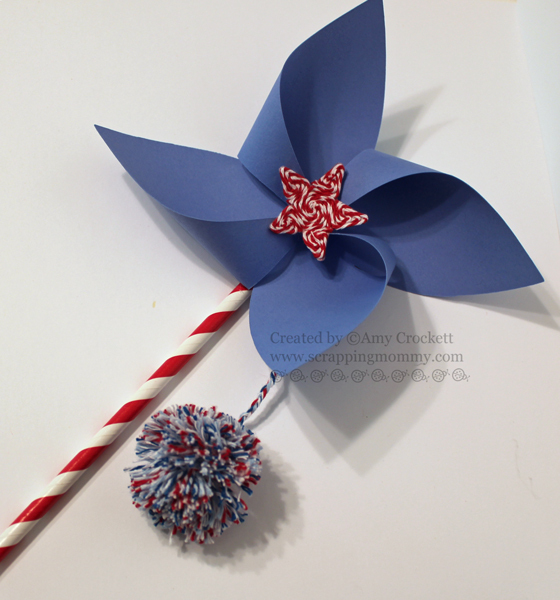 On the pinwheel, I did the same thing on the star as on the card above and then added a fun little pom pom made with the Maraschino, Denim, and Shore bakers twine. I braided the three colors of bakers twine together and then secured it to the pom pom and then to the pinwheel for a fun little embellishment. To see more awesome projects with bakers twine from The Twinery, hop on over to The Twinery Blog. Come back tomorrow......I am having a Blogiversary celebration and you are all invited!! Awesome projects, Amy! Those twine stars are too cool!!! Amy ~ Eeeek! I just ADORE your project! 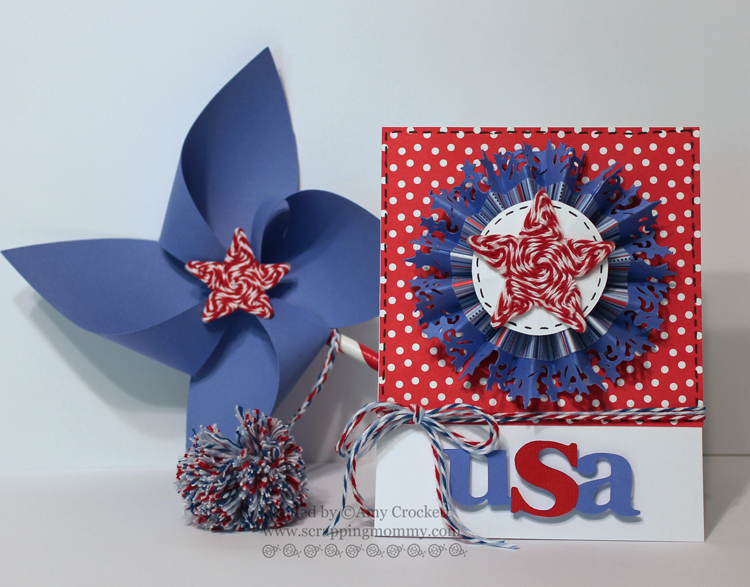 I LOVE the card and the pinwheel! But i have to say what you did with that twine ~ OH MYGOSH! That star is just FABULOUS! I ADORE the pom pom!!! Amazing Amy stikes again! WOW! This is so cute, I just love the cute little star in the center. amy, these are too stinkin' cute! No, Amy, I have never tried out for a design team. Maybe it might be in my future!